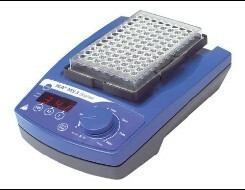 Compact, universal small shaker suitable for shaking tasks with all small vessels and microtiter plates. 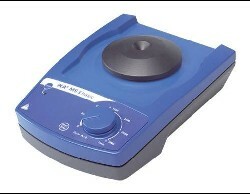 the maximum speed of 3.000 rpm is only reached with the standard attachment in touch mode. When using other attachments the speed is limited to 1.300 rpm. Mode B (without attachment detection) a speed of 3.000 rpm is possible with all attachments. Mode A (safe mode with attachment detection) the maximum speed of 3.000 rpm is only reached with the standard attachment in touch mode. When using other attachments the speed is limited to 1.300 rpm. A new, attractively designed, test tube shaker. 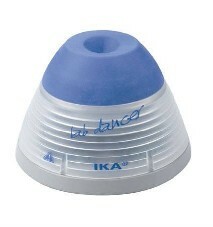 Designed for mixing small test samples with a touch function.